Deck painting is important to protect your wood patio from ultraviolet sun damage, moisture damage, peeling, and warping. It is usually recommended to have your deck stained or painted every one to three years, depending on the amount of wear it receives. Longer-lasting protection against weather than stains. More color choices than wood stains. Protects the deck against UV rays, cracks, and water damage to avoid costly repairs or replacement in the future. Our deck techs have the expertise necessary to restore the appearance and function of your deck. 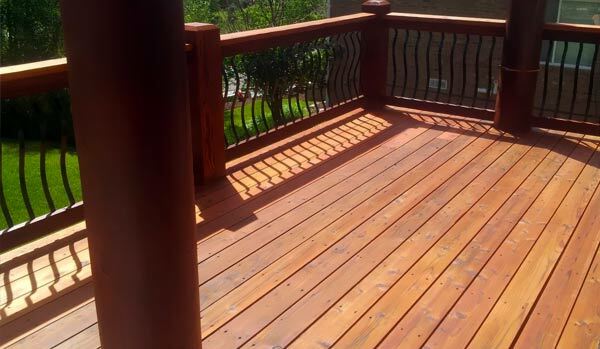 We'll inspect your deck and use brighteners, professional cleaners, and low pressure to wash and prep the surface before applying high-quality stains that ensure a beautiful deck for many years to come. Restore the appearance of old wood. 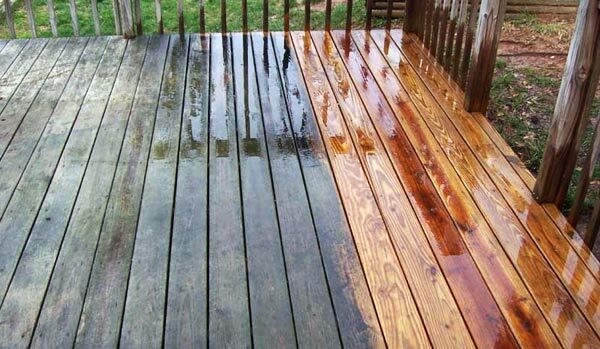 Repel moisture to help your deck last longer. Improve your home’s resale value and curb appeal. Regular deck staining keeps your deck protected. 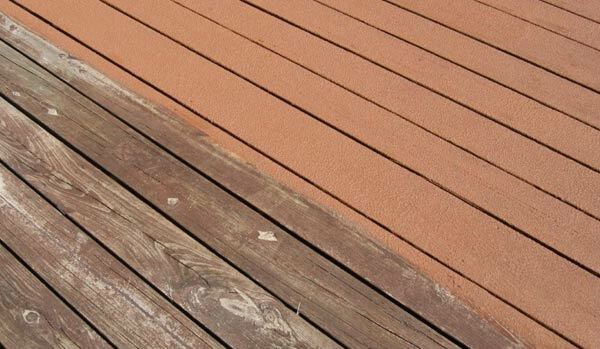 Our deck restoration system is designed to deep-clean the wood to ensure that the dirt and prior stains are removed. This system also works to kill the root structure of existing mold, algae and other harmful elements. This process allows new stains and sealers to perform as they were designed to. 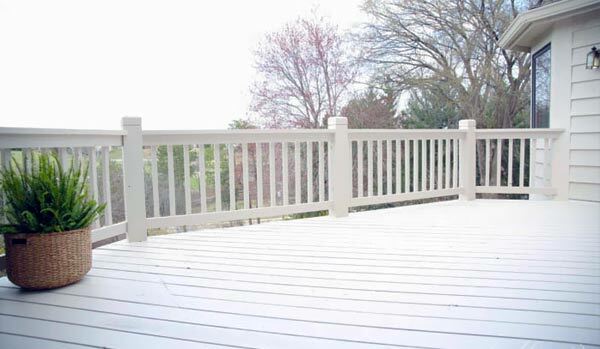 The end result is that your deck finish will last longer and will be easier to maintain in the future! Our professional power washing service ensures your deck is clean and prepped for painting or staining. Power washing can also be used alone to clean and maintain the existing finish and approve its appearance. Removes years of build-up debris and grime to restore the appearance of your home. Improve value, professional power washing can increase your homes resale value by about $10,000! Save money & prevent many types of damage that can age your deck & lead to expensive repairs..
"We had a much neglected deck that was transformed into sparkling new entertainment space."